I’m sure we’re all guilty of paying closer attention to our skincare than we do to haircare. You have to remember that just as our skin gets exposed to chemicals and adverse weather conditions, so does our hair. The combination of exposure to harsh weather conditions along with the stress of styling products and tools is the ultimate formula for dry, brittle and damaged hair. Give your hair a break from all the harshness and give it some love for a change. 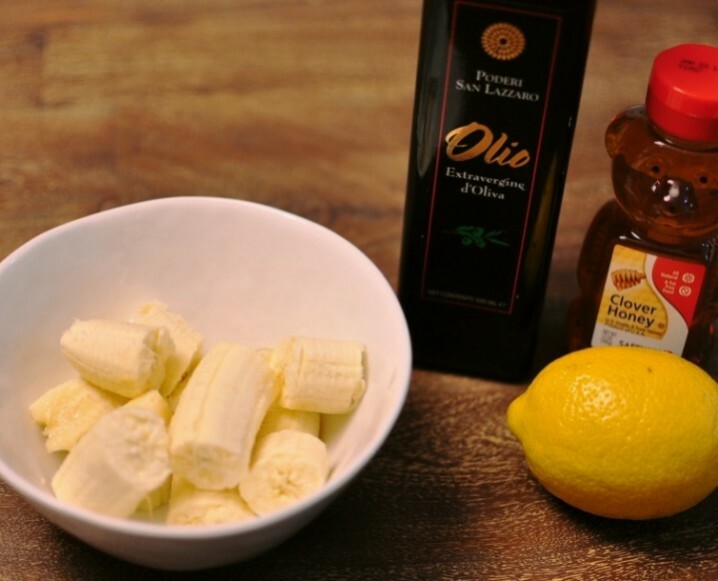 Here’s a DIY hair mask that will make your hair go bananas – in a good way! The best part of this hair mask is that all of the ingredients can be found in your kitchen and all of them are chemical-free. 1. 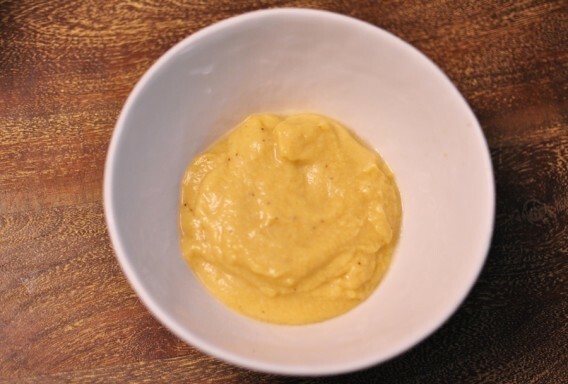 Peel the banana and puree it in the blender or food processor and make sure there are no lumps. If your banana isn’t ripe, stick it in the microwave for about 30 seconds. 2. Add the lemon juice, honey and olive oil. You should notice it becoming smooth and creamy. 1. Take the banana hair mask and apply it onto the ends of your dry hair and work your way up. 2. Massage it thoroughly into your hair and scalp. 3. Tie your hair in a bun and put on a shower cap and leave in the hair mask for about 15~30 minutes. 4. Rinse your hair with shampoo and conditioner. Banana is high in potassium, natural oils, carbohydrates and vitamins that will help soften, nourish, strengthen and add moisture to your hair and scalp. So if you have dry, frizzy hair or flaky scalp, and dandruff, this mask will be your cure. Share the post "Make Your Hair Go Bananas With This At-Home Hair Mask"
Can this be use on the scalp especially for oily scalp? just did it and the consistency was not what I was expecting. It feels great and made my hair feel great!!! Love hearing about the great results, Alli! This mask is a pain! I did it and couldn’t get the banana out of my hair! Oh boy, Laura! Thanks for the tip – at-home DIYs can definitely take some experimentation! Let us know if you have tips! I just did this, I have hip-length hair and I love experimenting with homemade hair masks to moist it, because specially the ends tend to get really dry. I did this mask but with 1 banana and a bit of olive oil, because I didn’t have any honey. And the mask smells great. I got all of my hair into the bowl to get it really wet with the mask. I waited for like an hour to wash it. After I got in the shower and washed it with my shampoo and combed it, I felt that my hair was soft and soooo shiny! Thanks for this recipe 🙂 The next homemade mask I’ll try, will be the avocado one!! I think it’ll be better than this one. I guess I’ll have to try this mask sometime. But to be honest, I love my pro naturals ahir repair mask. I bought it a few months back and it is so good as a moisturizer and smells so great that I don’t want to change it hahaha. Check it out, I love it. I loooooooved this mask. It made my hair super soft and I noticed a decrease in split ends! Yay!! Lots of people have problems with the banana chunks that they can’t get out of their hair, and my suggestion is to use really over-ripe, bruised bananas because they are softer and mush up easier. Thanks for posting this! Ahh! This looks amazing, I’ve used Banana’s in a face mask before and my face felt great after! Definitely trying this! Let us know how it turns out, Caroline! Left my hair feeling all new! Just as I suspected! I actually left this mask on for a ridiculously long time too! It’s really amazing n it works…thanks..